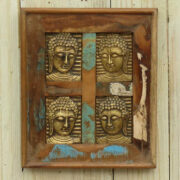 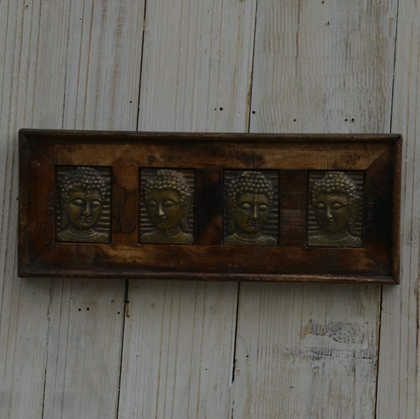 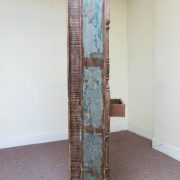 Wide plaque with four bronze Buddha heads made with recycled wood. 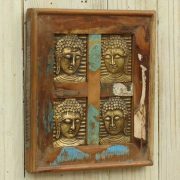 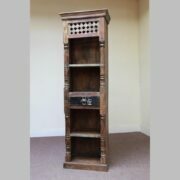 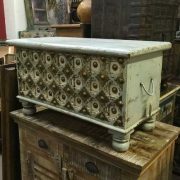 Similar to our other Buddha plaques, this piece is also made with reclaimed materials and features four bronze Buddha heads in a row. 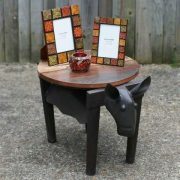 A beautiful edition to any wall in your home, the distressed wood has a rustic, slightly distressed feel and is a combination of deep brown natural wood grain and subtle painted colours.